Right so, odd request. But seeing as I’m 163 miles away from my beloved S3 and no one has access to it bar me where it is. 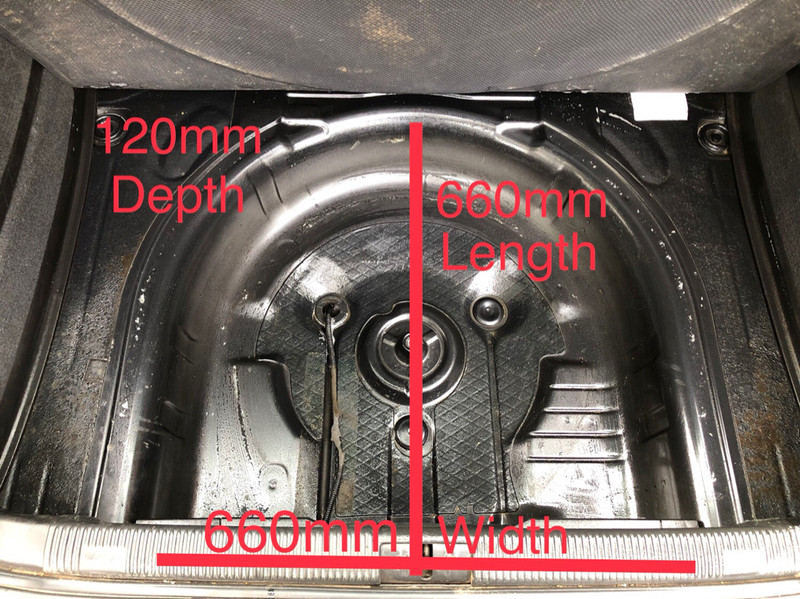 Could someone kindly measure in metric the dimensions of the spare wheel well please? I’m looking for width at the most straightest part i.e. closest to the warning triangle. The length from the centre of the warning triangle to the furthest part closest to the rear seats and the depth of it. I know it contors in slightly around the edges but that won’t be an issue. Also the last measurement from one of the corners to where the half circle starts. It’d be a huge help if someone could do this for me. So this is for anyone else that needs these dimensions, maybe it’ll help someone in the future.